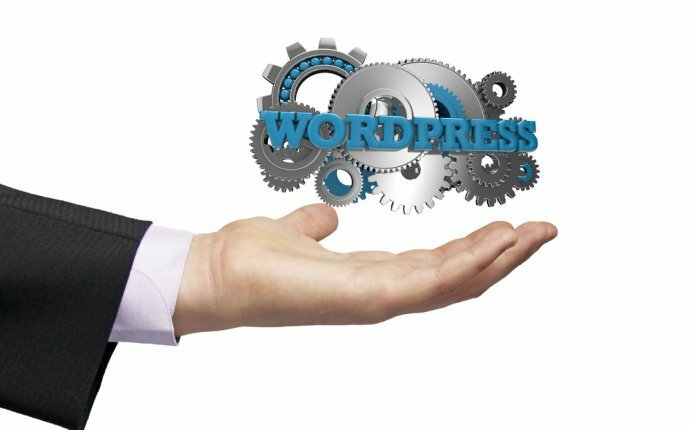 Last year I wrote a complete guide to setting up and running your own WordPress site along with an SEO for WordPress best practice guide. That latter SEO guide has become somewhat out of date now, so this is a revised and updated version of that previously published post. Very simply, it’s an umbrella term for all the methods, tactics and processes by which you can increase the likelihood of your website appearing, and possibly ranking highly, in the organic (non-paid for) search engine results pages (SERPs). In actual fact, good SEO requires a level of attention to detail that will only improve the functionality and usability of your website. If it’s easy to access and navigate then it’ll be all the more appealing to your visitors. Appearing higher in the SERPs is a positive by-product of this ‘best practice’. However don’t think that because you’re ‘just running a blog’ that traffic from higher SERP rankings is a fanciful notion. With a regular routine of internal linking to other relevant articles on the site, writing quality content, optimising headlines, permalinks and images, it didn’t take long for my own music and film site to appear in the first couple of SERPs under certain search terms. There are some bad practices too, such as artificial link-building and keyword stuffing, just bear in mind that Google is quite good at catching you in the act, and is not only quick but severe in its punishment. As a WordPress user you will be ably assisted by various SEO related plugins, the most useful and popular of which is WordPress SEO by Yoast, however that doesn't mean that all your work is done for you though. There are still manual things you will need to do to improve your SEO. If you’re not producing good, relevant, entertaining, helpful content at a regular rate, then all of the added SEO tricks won’t help you one little bit. How does Google know whether you’re producing good, relevant, entertaining, helpful content? It is of course a complicated and ever-changing algorithim that’s impossible to second-guess or predict. All you can guarantee is that no matter what Google and the other search engines are looking for in terms of ‘site health’, the quality of your content will always be the top priority. Good quality content gets recognition. That recognition will come in repeat traffic, social shares and links within other websites. This will drive traffic to your site and improve your chances of being found not just within organic listings but also through social media and peer recommendations. The most important point here is this: write for human readers not search engines. If your content reads like a robot wrote it, nobody will stay on your site, nobody will revisit and nobody will share it. Search engines will see this lack of interest and high bounce rate and rank you in the toilet-end of SERPS accordingly. Producing content, regularly and as often as you can is also a must for appearing in the SERPs. When it comes to my own blog, I have a policy of publishing at least one article a day during the week. I take the weekend off. Blogging is a time-consuming art but does benefit from taking a day or two off to refresh the creative juices. Plus there are cats to feed and social circles to remind that you still exist. Write as regularly as you can, and you’ll soon see that within a few months you’ll start to appear in SERPs and therefore pick up some organic traffic. If you don’t update regularly, search engines will view your site as irrelevant over time and rank you lower. Don’t be overly concerned with the wordcount. If you remember padding out university dissertations with overly rambling sentences just to achieve the 15, 000 allotted word-count, do not worry about achieving a similar thing here. Whether you’ve been recommended that a post should be at least 300 words long, or 500-1, 000 words if your blog is new, try to resist padding it out with waffle. Be as concise as possible. A reader would rather read a shorter article that gets to the point then a long-winded epic. That being said, if you’ve written a 1, 000 word masterpiece stuffed with fascinating, completely relevant and helpful content, where you’ve been as tightly controlled and clear with your text as possible, search engines will prefer this to one that’s half the length on the same subject. The likelihood of you being penalized for writing a 290 word post instead of keeping to the often recommended 300 word optimal length is very low. However if you’re struggling to fill a 300 word post, perhaps the subject you’re writing about isn’t quite suitable for you, or may require some more research. Keep them as concise as possible, although not to the point of making them too obscure or meaningless. According to Moz, if you keep your titles under 55 characters, you can expect at least 95% of your titles to display properly in Google. “A beginner’s guide to SEO best practice for new WordPress bloggers” is descriptive and accurate. However, to benefit your readers and because search engines tend to give keywords at the beginning of a headline the most attention it might be best to rework it. “SEO best practice: a beginner’s guide” may be better as the most important words are at the front. ‘Beginner’s guide’ remains as it’s an accurate decription of the content, but then you also don’t want to limit your audience. I’ve excised ‘WordPress’ and ‘bloggers’ as these tips are universal in regards to most blogging platforms and content management systems. I’ve also removed ‘new’ as it duplicates the meaning of ‘beginner’s’. “10 electrifying SEO tips that will charge your blog with awesome”. The standard Upworthy template ‘When you watch this video of a man dancing with a camel you won’t believe what happens next’ or Uproxx’s ‘This woman from Mexico will change the way you think about drinking tequila’ are very endemic of their respective publications.